Whether it is a small part of the home or the focal point of the house, a kitchen should be an inviting place. If your client has turned to you for a kitchen remodel, it is time for you to make a visit to ProSource® of Hudson Valley. Our dedicated team is ready to assist you in putting together a stunning design that will please your client. At ProSource of Hudson Valley, we take pride in every job we help a trade professional complete. Browse our varied selection of products and flooring and enjoy the savings of our wholesale prices. From dark wood finishes to gorgeous glass fronts, kitchen cabinets can enhance the room’s appearance while adding practical storage space. 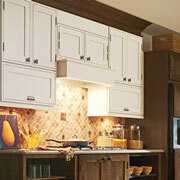 Find the perfect cabinets at ProSource. A cabinet can be brought to life with the right hardware. 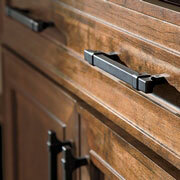 Shop our selection of knobs, handles, and other important cabinet components at ProSource of Hudson Valley. 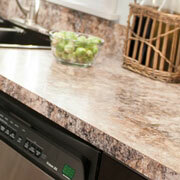 Strong, durable, and beautiful should all be words used to describe quality countertops. Discuss the variety of materials we provide, such as granite, quartz, marble, and more with our team members today. 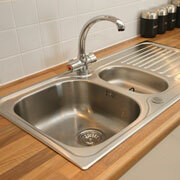 Every kitchen needs a sink that offers excellent functionality and stunning beauty. From triple-basin sinks to high-end single basin sinks, we can help pair your client with the perfect kitchen sink for their needs. 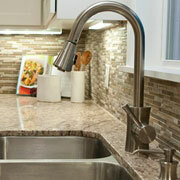 From single spout faucets to hand held spray faucets, you can help your client design the right look and feel for their home when you shop our vast array of kitchen faucets. We proudly serve Poughkeepsie, Kingston, Newburg, and Danbury, Connecticut, as well as the Hudson Valley. The ProSource of Hudson Valley showroom is conveniently located in Poughkeepsie, New York and serves all of the neighboring cities including Accord, Amenia, Ancram, Ancramdale, Annandale on Hudson, Arden, Arkville, Bangall, Barrytown, Beacon, Bear Mountain, Bearsville, Bellvale, Big Indian, Billings, Blooming Grove, Bloomingburg, Bloomington, Boiceville, Brewster, Bullville, Burlingham, Campbell Hall, Carmel, Castle Point, Central Valley, Chelsea, Chester, Chichester, Circleville, Claryville, Clinton Corners, Clintondale, Cold Spring, Connelly, Copake, Cornwall, Cornwall on Hudson, Cottekill, Cragsmoor, Cuddebackville, Dover Plains, Elizaville, Ellenville, Esopus, Fallsburg, Ferndale, Fishkill, Florida, Forestburgh, Fort Montgomery, Gardiner, Garrison, Gaylordsville, Germantown, Glasco, Glen Wild, Glenford, Glenham, Goshen, Grahamsville, Greenfield Park, Greenwood Lake, Harriman, Harris, High Falls, Highland, Highland Falls, Highland Mills, Holmes, Hopewell Junction, Howells, Hughsonville, Huguenot, Hurley, Hurleyville, Hyde Park, Johnson, Kent, Kerhonkson, Kiamesha Lake, Kingston, Lagrangeville, Lake Hill, Lake Katrine, Lakeville, Liberty, Livingston, Livingston Manor, Loch Sheldrake, Mahopac, Mahopac Falls, Malden on Hudson, Marlboro, Matamoras, Maybrook, Middletown, Millbrook, Millerton, Milton, Modena, Monroe, Montgomery, Monticello, Mount Marion, Mount Tremper, Mountain Dale, Mountainville, Napanoch, Neversink, New Fairfield, New Hampton, New Milford, New Paltz, New Windsor, Newburgh, Olivebridge, Otisville, Parksville, Patterson, Pawling, Phillipsport, Phoenicia, Pine Bush, Pine Island, Pine Plains, Plattekill, Pleasant Valley, Port Ewen, Port Jervis, Poughkeepsie, Poughquag, Putnam Valley, Red Hook, Rhinebeck, Rhinecliff, Rifton, Rock Hill, Rock Tavern, Rosendale, Ruby, Salisbury, Salisbury Mills, Salt Point, Saugerties, Shandaken, Sharon, Sherman, Shokan, Slate Hill, Smallwood, South Fallsburg, South Kent, Southfields, Sparrow Bush, Spring Glen, Staatsburg, Stanfordville, Sterling Forest, Stone Ridge, Stormville, Sugar Loaf, Summitville, Taconic, Thompson Ridge, Thompsonville, Tillson, Tivoli, Tuxedo Park, Ulster Park, Unionville, Vails Gate, Verbank, Walden, Walker Valley, Wallkill, Wappingers Falls, Warwick, Washingtonville, Wassaic, Wawarsing, West Camp, West Hurley, West Park, West Point, West Shokan, Westbrookville, Westtown, Willow, Wingdale, Woodbourne, Woodbridge, Woodstock, Wurtsboro and Youngsville.